Ongoing discussions about design for a reconstruction of Shank Painter Road continues at the Select Board meeting on February 25 at 6 pm. This is the fourth in a series of continued hearings to solicit feedback about the proposal before an initial 25% design is submitted to MassDOT for review. 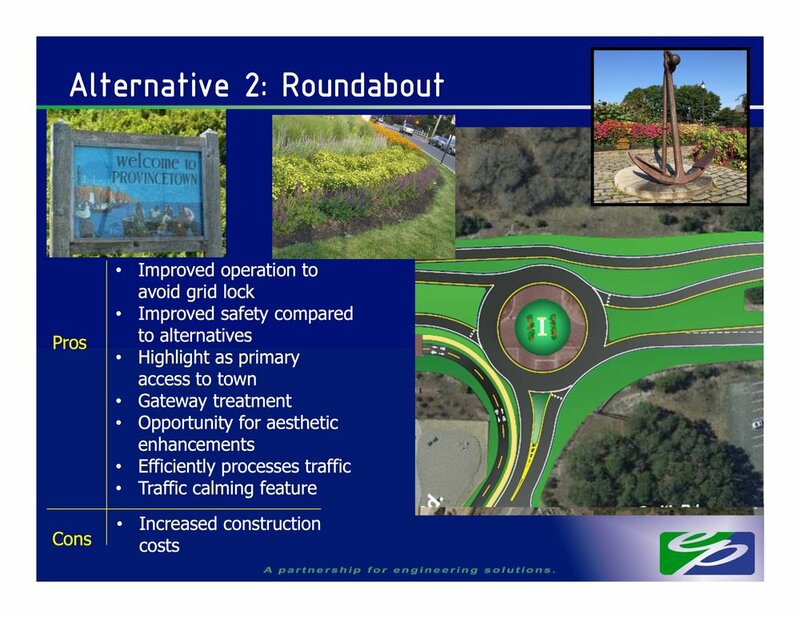 The original design recommended two travel lanes, a two-way bike path on one side and sidewalks on both sides, a roundabout at the intersection of Route 6, and a two-way shared use path along Route 6 to Herring Cove. The Bicycle Committee submitted public comment strongly recommending one-way bike lanes on each side of the road due to the large number of curb cuts and nose-in parking; requesting crosswalks and bike crossings within the roundabout, and asking for a pedestrian and bicycle crossing of Route 6 between the Shank Painter Pond and Clapp’s Pond trailheads. There have been lots of public comments so far, with concerns about emergency vehicle access, impacts on parking, and whether a sidewalk should be included on both sides of Shank Painter. I’m looking forward to seeing a revised drawing a some point to see how the project engineers have interpreted the feedback. Hopefully we’ll see some of this detail at the hearing.